For anyone that has ever been to Val D’Isere (or knows someone who has) – you will have heard of this famous bar. 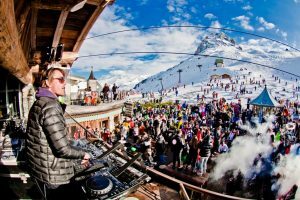 Everyone parties, dances on tables and the music is outstanding – a real crowd pleaser and an amazing place to visit for ‘apres ski’! This season we are delighted to tell you that Folie Douce will be coming to Avoriaz!! Dust off your dancing shoes (or ski boots) – you are in for a great ride! With the risk of sounding like a marketing machine (I am not!) – the conditions right now are some of the best Morzine has ever seen. The snow pack is over 3m, the weather is crisp and bright, the slopes are being maintained impeccably and Alptitude have a few remaining properties available over the next few weeks. 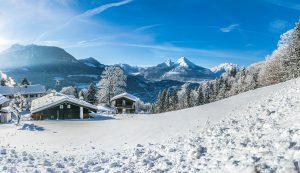 These are the best bargains you are going to find in Morzine so grab the kids or your friends, book a flight or a ferry and come and see what all the hype is about this season! Chalet Minouchet (sleeps 10) – was €3500 now ONLY €2500!! Chalet Buchille (sleeps 8) – was €2800 now ONLY €2000!! La Petite Maison (sleeps 6) – was €2250 now only €1500!! Chalet Les Trois Ours (sleeps 6) – was €1700 now ONLY €1500!! Apartment Le Pleney (sleeps 5) – ONLY €950! If these great accommodation offers weren’t enough – we even offer you 10% discount on all your liftpasses as well! We have been working hard to ensure that you get even more value from your holiday and can offer you 10% discount on your lift passes as well as 20% off your ski equipment hire! With some of our accommodation costing as little as €27 per person per night – what are you waiting for?! Click here to view all our properties and availability for the coming season! 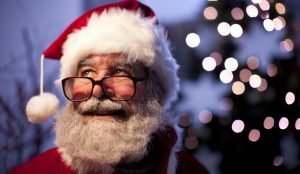 Still undecided about what to do over the Christmas holidays? Have yourself a merry little (white) Christmas with us at Alptitude! Christmas in Morzine is without doubt one of the most magical times of the year here in Morzine and we have some great apartments and chalets for you! We will take the hassle away for you and will even put a beautifully decorated christmas tree in your property for all your presents to sit under! The streets of Morzine will be full of Christmas spirit and excitement. There will be a Giant Christmas tree, stilt walkers, live music, a light show and much much more. Father Christmas and his elves even have a small village in Les Gets that you can visit and see them hard at work in their workshop! *Offer applies to all children under 12 years old when buying an adult Portes du Soleil liftpass valid from 5-7 days. Deal runs from 23/12/2017 to 29/12/2017 inclusive. The free liftpass will be valid for the same duration as the one purchased. 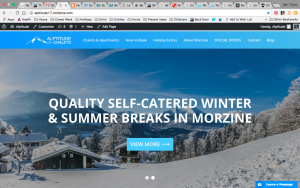 Alptitude has some great offers on self catered apartments and chalets for Christmas and New Year as well as huge discounts on lift passes and ski hire. If you are in Morzine in the lead-up to Christmas and fancy a day-trip, then the Montreux Christmas markets are well worth a visit. Just over an hour’s drive from Morzine, the town is filled with market stalls, entertainment and even a big wheel for young and old to enjoy. The town is transformed into a winter wonderland with a festive feel. For the children amongst you, there is even Santa’s village up in the mountains that you can get the train up to. We are delighted to introduce our new website – designed to make your booking experience even easier! Let us know your thoughts and whether there is anything else that you would like to see here!